**If you are looking for the PLS Nature Walk Reveal blog hop - CLICK HERE! ** We had such a wonderful Easter holiday! It all started Saturday evening when we started to color the eggs. Charlotte was absolutely amazed by the entire process. 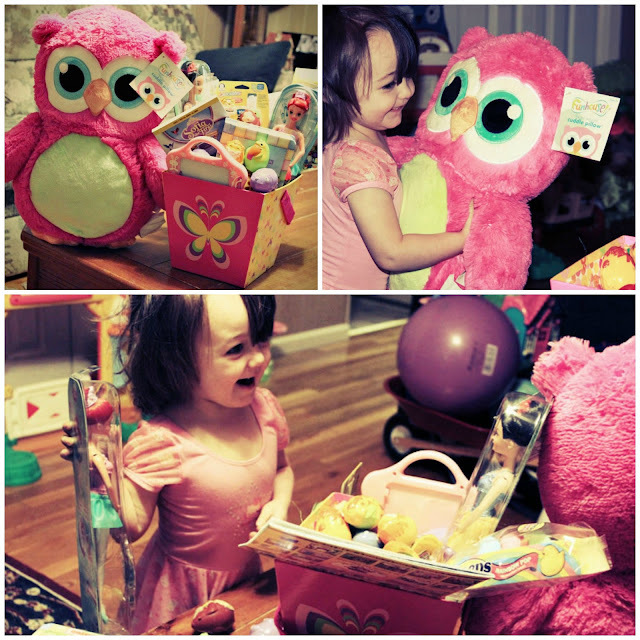 Of course the best part of the holiday was Easter morning when Charlotte woke up to see all of the goodies the Easter Bunny had left her. 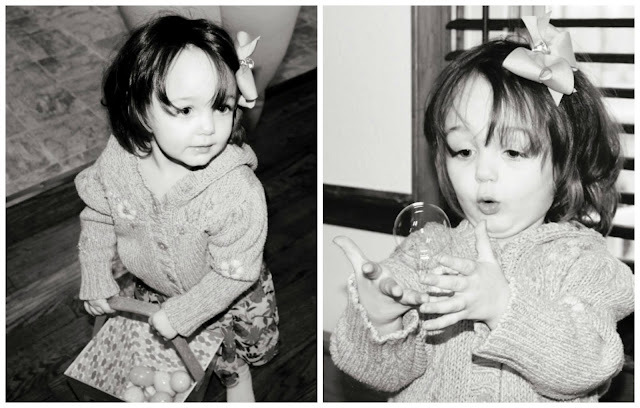 We went to my parent's house and had a little egg hunt indoors (it was so nasty outside), played with bubbles, did a few easter crafts, and ate a delicious easter dinner. I hope everyone had just as wonderful of an Easter as we did! She is adorable, Christina! The look of wonder on her face is so delightful.